I’m only a few years removed from my NFL playing career, but I’m still around the game a lot in my work with NFL Legends. I can say with some certainty that the landscape has changed quite a bit. The modern pro football player is a different type of player, and a different type of person than when I came into the league some 15 years ago. These guys have been famous or at least noteworthy for playing football for most of their lives. They’ve been superstars at every level. They’ve had Instagram and Twitter followers since they were in middle school. On top of that, the game is faster than it’s ever been. The modern NFL athlete is built differently than I was, and certainly than those that came before me. Linemen on both sides of the ball are more athletic. Linebackers are smaller again. Running backs are shiftier. Athletes in the receiving corps and the secondary are doing things we’ve never seen. The game has changed. It’s a different era of athlete. So the old way of micromanaging, of telling guys what to do and how to do it, that’s kind of a thing of the past. It’s giving way to guys who are thinking the game and being innovative. The Rams were one of the first organizations in the league to take notice of that. So I want to give their front office some credit for the direction they took the franchise in two years ago, when they took the leap and brought in an unknown commodity to run the team. Nobody knew how hiring Sean McVay was going to turn out. Here’s a guy who is not that much older than the players he’s being hired to coach. That was something that was unheard of. And it wouldn’t have worked just anywhere, with any guy. As a player, you only have so many years in the NFL. For those guys to buy into someone that was damn near their age, to come together and play hard and coach hard for each other, that’s something. 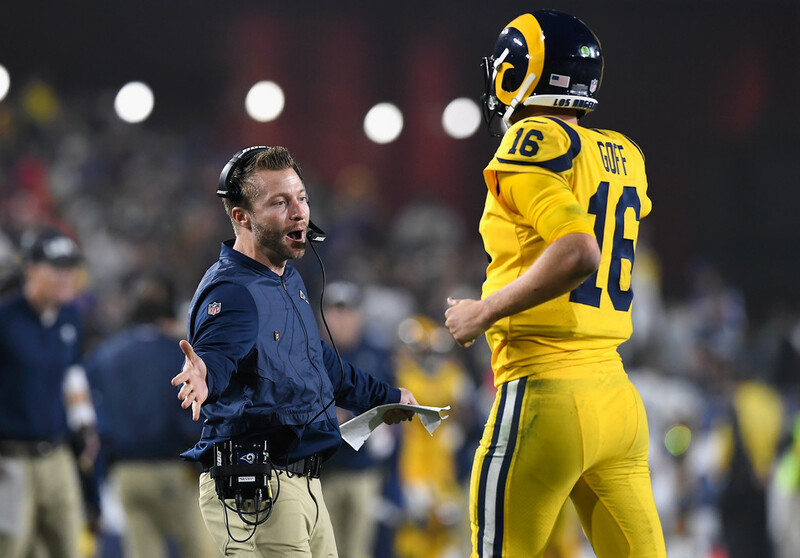 To me, what sets McVay apart is how he communicates with his players. He knows how to communicate with guys at their level, and gets them to buy in. Along with that, he takes care of them. That’s so important because when you ask people to buy into something, you’re asking them to trust you. He has earned a lot of trust from those guys. He’s figured out how to get them to buy in. I think his closeness in age to them has actually been very beneficial for him, and for those players. He is able to understand these guys on a different level, to talk to them and bond with them through video games and other things. I know he does a ton of walkthroughs in the ballroom, to make guys understand their roles and put them in a position where when they get on the football field, they don’t need to think. They just react. And they’re all in-sync when they get on the field. They do a lot of pre-snap motion that allows Jared Goff a good idea of what he’s dealing with. You force a defense to show their cards in how their formation shifts with a man or zone look. Then once he gets that, he knows right away what side of the field the ball is likely going to go to, because there are a lot of combinations being played. If they want to play a soft zone, that’s where Todd Gurley and the running game come in, and make them pay for protecting against the pass. The timing of everything they do is impressive. That lets you know they’re a close-knit bunch, that they’re coached up right in their technique and that they’ve each accepted what they have to do on each play. They’re not panicking and reverting back to bad habits. They’re all executing their job the right way. 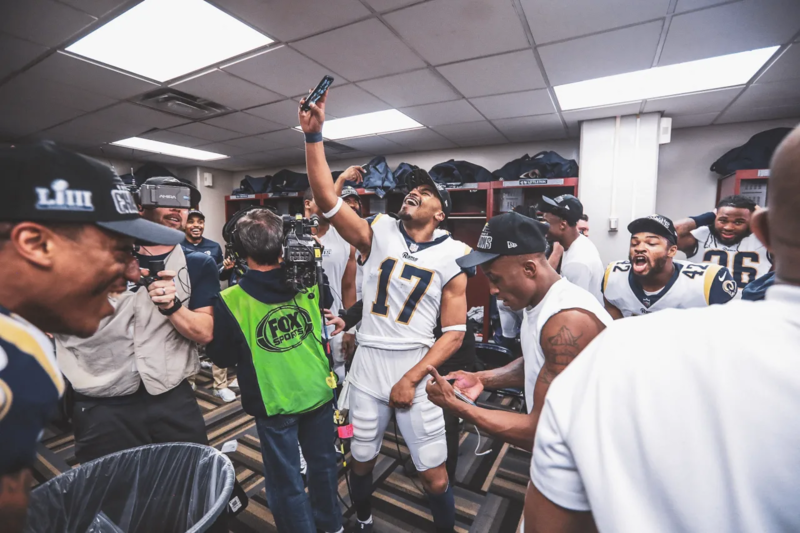 It’s why they are where they are and why—regardless of the outcome on Sunday—the future is bright for the Rams.